Grey Import (noun) - a product brought into Australia without the specific permission from the manufacturer. Also known as a parallel import. Buying something from overseas is something that most of us online shoppers have done at some point (if not all the time!). It's hard to deny that there can be benefits by doing so, especially if it's a bargain basement price or the product isn't available in Australia. However, when it comes to purchasing items including safety equipment internationally, and then using it in a commercial setting, there are some absolute caveats that can't be ignored. While you may feel confident personally taking responsibility for a US Coast Guard approved PFD; an ANSI rated Karabiner; non-AGL approved stoves; a non-TGA Authorised First Aid Kit or brand of safety Gear purchased on reputation instead of standards; but have you stopped to consider if your business and/employer can do the same? Often 3rd Party insurance specifically excludes importation of products; so your business may not be covered should anything go wrong, including just shipping and compliance style issues. To add to this many general 3rd Party insurances often covers a business anywhere in the world BUT the USA. This is because of both the highly expensive and litigious legal atmosphere in the USA, along with many cases of brands ignoring the EN compliances of Europe (and the rest of the world) and instead largely following a buyer beware model of standards & quality. So you may be doubly at risk with US sourced products; no product liability on grey imports and no general insurance or support on a claim made against a US company. In fact, the US market is a proverbial minefield when it comes to purchasing gear. The USA is wildly expensive in terms of legalities, US brands largely do not use global standards and their own set standards may not be recognised here. A specific US product's standard may be enough for a business, but not their insurer, land access manager or for compliance with their standards provider; E.g Outdoors NSW or whichever representative body applies. What is perhaps worse than all of the above, is importing goods personally for your company’s commercial use. You probably don’t have any insurances to look after you in this instance, and may very well be personally liable for the business cost of imports and risks – continue on reading below for more on this. So .. if a kid gets hurt .. and you end up not only having to defend your actions (which is no issue if you are compliant, well trained and insured – and feeling comfortable), but also the equipment involved. This may not your area of expertise and leave you not so comfortable – and the local representative will distance themselves!). 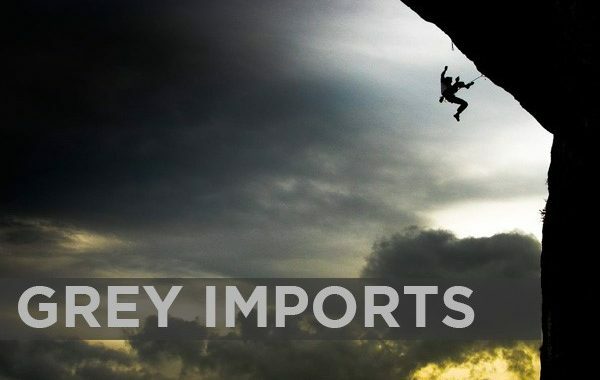 Click Here to read what the ACCC has to say about buying parallel imports. Please read on if you wish to calculate the costs of Parallel Importing. Risk - You will most likely be deemed the entity at law in case of fault. If a product fails – you may face replacement cost. If a product fails and there is a claim made for property or personal damage – again you are probably liable. Whilst you may claim on the manufacturer almost certainly *you* need to do this *later* in their country’s law. Again, you can read more on the ACCC website. Insurance - I’m insured for risk though? Unless importing is specifically mentioned in your insurances; you are most likely *not insured* for it. Costs - There are many importing costs businesses are not aware of. 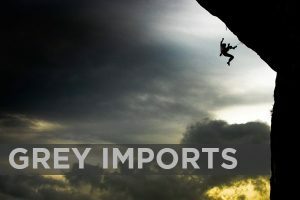 Duties apply to many business imports; varied by product or country of origin. There are also clearance, port service charges, customs fees along with compliance, quarantine accreditation and paperwork fees. An Australian Customs Entry for Home Consumption Fee (any Duties and Estimated GST Fees on goods) must also be paid to the freight forwarder plus cartage and their fees before you receive your goods. This can easily exceed $1000 on even a small order (a few thousand A$). Compliance - If your goods require a secondary customs inspection; quarantine treatment or disposal en-route; you are probably liable. You are also responsible for all local compliance issues for the product. You must comply with product safety and labelling. You are responsible for any products subject to a ban / requiring mandatory standards / who require registration / regulation / notification / recalls reporting process. Perhaps consider a percentage or dollar cost for all of the above risks; or a quote for insurance against them. Posted in BLOG, Gear, Gear Review, Outdoor Education, Uncategorised.